Whether you want to build a house from scratch or refinish your basement, a good general contractor (GC) is invaluable to the process. It can be tempting to head up the project yourself, but not many folks have the time or energy needed to take the lead on a construction project. Many people find themselves overwhelmed with information and options when it comes time to choose a reputable GC, and unfortunately, this can lead to making a hasty decision that is not well-researched. At Wallace and Dean Real Estate, we provide the Houston area with unsurpassed realty services. In addition to helping homeowners buy and sell their property, we also specialize in helping Texan residents build the homes of their dreams. To help you streamline the process, we’ve compiled eight qualities to look for when hiring a general contractor and in today’s blog, we’ll take a look at four of them. Read on to learn more, and in the meantime, contact us at 281-789-7349 to learn more about our services! First and foremost, you want a general contractor who’s been around for awhile. Not only will this speak to his or her expertise, but it will also say something about the contractor’s reputation. If a GC has gotten a bad reputation amongst suppliers and other customers, he or she probably won’t be in business long. Typically, the longer a contractor has been in business, the more experience he or she has with various applications and building methods. Additionally, you’ll want a contractor who’s well-versed in the intricacies of your prospective job. For example, it might not be the best decision to hire a large-scale commercial GC for your small bathroom remodel, or a residential GC for your large retail renovations. Speaking of reputation, you’ll also want to do some research on your potential contractor, including asking him or her for a list of references or completed jobs. Is the GC associated with the Better Business Bureau? If so, has he or she had many complaints? How has he or she handled the complaints? It can also be helpful to search online for reviews of previous customers, and don’t be afraid to ask the contractor to explain the circumstances of the negative reviews. If you’ve received a referral from a friend or family member, ask to see the finished work for yourself to inspect overall quality and fine details. 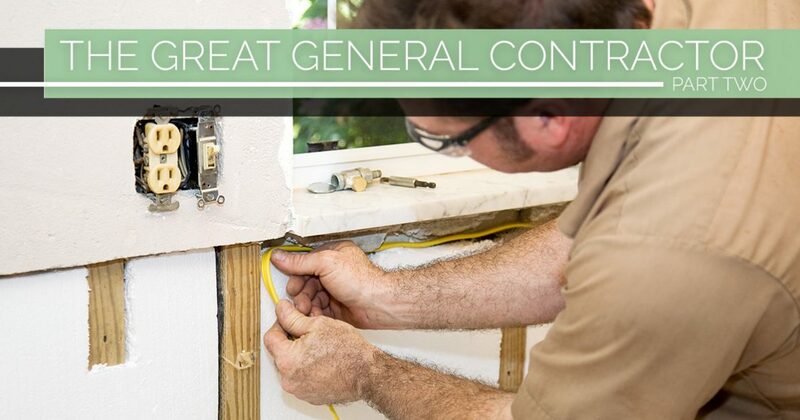 It’s important to remember that your general contractor works for you. Therefore, you are the customer, and you want to make sure your GC is responsive to your calls and emails relating to your project. He or she should promptly return any missed calls and thoroughly review and explain each process and procedure before it is done to ensure you’re both on the same page. In short, you should never be left guessing, and if you feel like you can’t ever track down your contractor or you’re always left in the dark, it might be time to find a new one. When hiring a professional, regardless of the trade, many homeowners assume that the contractor is licensed and insured. This can be a dangerous assumption to make when you’ve invested a lot of your hard-earned money into a project, and you definitely don’t want to find out the hard way that your GC was neither properly licensed nor adequately insured. It’s highly recommended to confirm with your potential contractor that he or she is licensed and carries worker’s compensation and liability insurance. Many reputable contractors will even carry their certificate of insurance with them to provide customers who inquire. These are just four of the eight qualities we recommend you look for when hiring a general contractor to help you build a house or remodel your existing one. Be sure to check back for part two of this installment for the other four qualities. 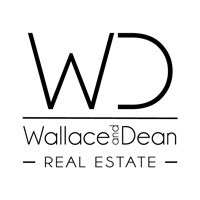 If you’re looking for a quality GC in the Houston area, contact Wallace and Dean Real Estate today! We look forward to hearing from you!